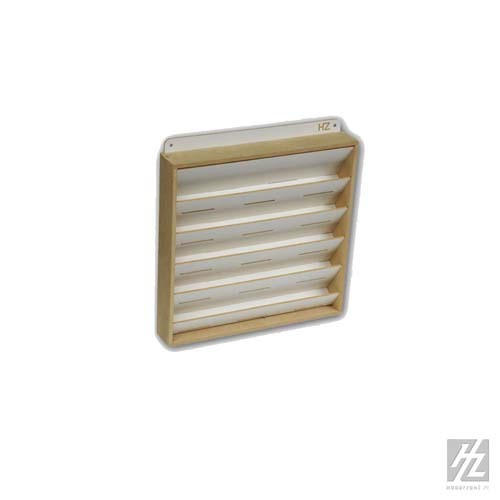 If you do not have enough space at your workplace or you want to keep perfect order with your paints, use the paint hanger that you can install on the wall. 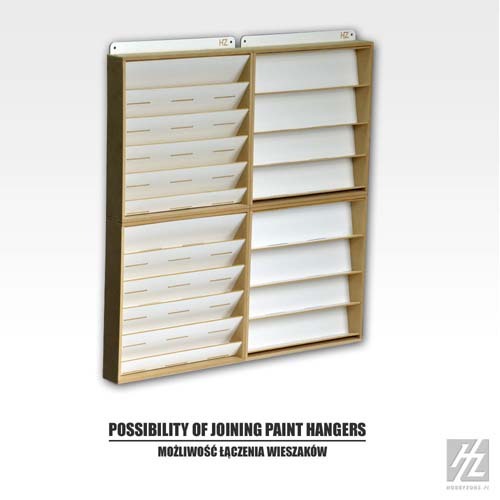 Paint hanger is designed so that you can combine several hangers together vertically and horizontally - the combinations are practically unlimited. 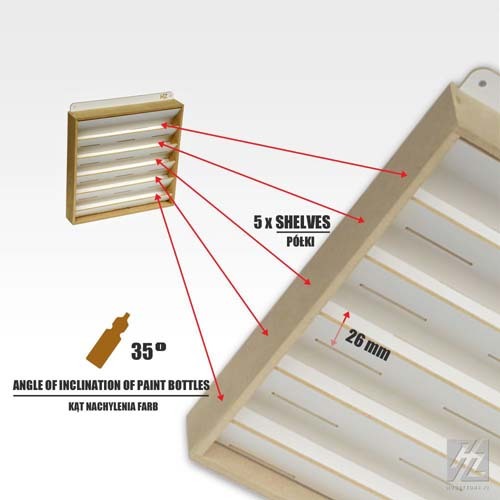 All of the HobbyZone products are made from sheets of plywood or MDF (dense particle board) wood which are machine cut (not laser cut) for a precision fit. Wood glue will be needed for assembly. 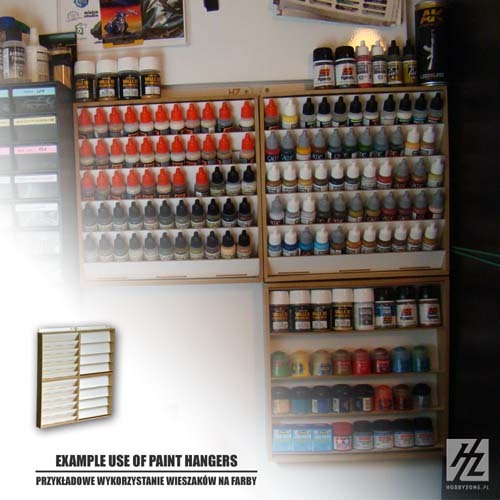 The S03s 26mm Paint Hanger does not include paints, tools or accessories, pictures just show examples of use.